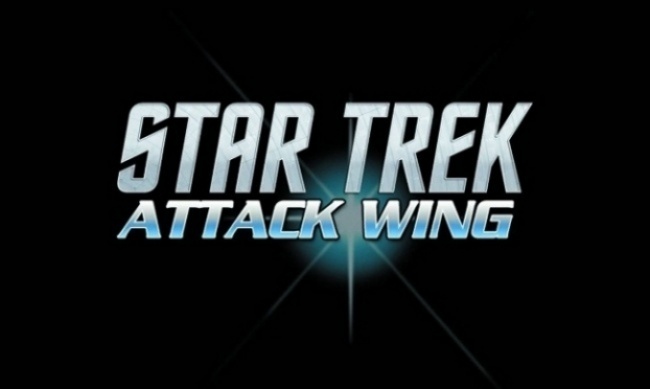 The third wave of Card Packs for WizKid’s tactical starship combat game Star Trek: Attack Wing has been announced. The two new packs will release in October. Like the Card Packs in the first two waves (see “WizKids Introduces ‘Star Trek: Attack Wing Card Packs’”), each pack comes with cards, tokens, and dial connector pieces designed to work with some of the older models in the game line. The majority of the components will be new content, with the rest representing updates and errata. Star Trek: Attack Wing Gorn Raider Card Pack ties to Star Trek: Attack Wing Wave 13 Gornarus Expansion Pack. Star Trek: Attack Wing Jem’Hadar Attack Ship Card Pack ties to Star Trek: Attack Wing Wave 1 5th Wing Patrol Ship Expansion Pack and Star Trek: Attack Wing Wave 21 Robinson Expansion Pack. Card Packs offer fans of the game new material at a lower cost than the previous expansion pack formats. MSRP is $9.99 per pack. WizKids also recently announced Faction Packs for the game (see “'Star Trek: Attack Wing' Introduces New 'Faction Packs'”).